Jerusalem court rules against Greek Orthodox Church in real estate battle with Jewish property reclamation group. 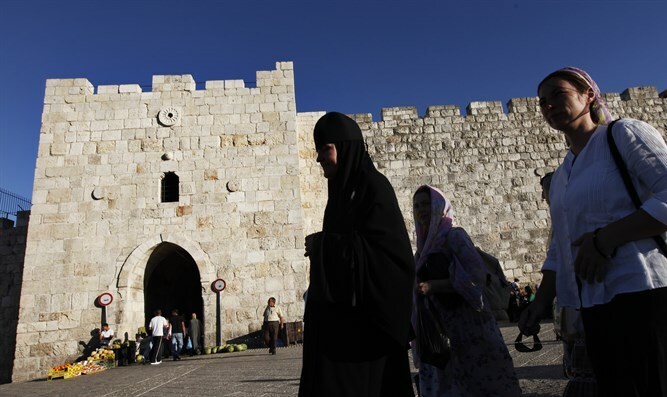 The Jerusalem District Court ruled Monday that there was nothing improper in a real estate deal transferring ownership of two Old City hotels from the Greek Orthodox Church to Ateret Cohanim, closing a legal battle that dragged on since 2005, The Times of Israel reported. In the decision, Judge Gila Kanfi-Steinitz ruled that there was no proof that the deals between the church and subsidiaries of Ateret Cohanim were a result of bribery of fraud. She also ordered the church to pay Ateret Cohanim's legal fees, totaling NIS 30,000 ($8,420). Ateret Cohanim is an organization which works to strengthen the Jewish presence in Jerusalem's Old City and in other historically Jewish neighborhoods in eastern Jerusalem. The hotels are prominently located next to the Jaffa Gate in the Old City, and the decision to sell them to Ateret Cohanim caused a firestorm among the city's Arab residents. The Greek Orthodox Church sued, claiming that the deals were illegally signed by an employee without authorization, setting off years of litigation. The Greek Orthodox Church owns large amounts of property in Jerusalem, and has often caught flak from both Jews and Arabs due to their involvement in real estate deals. Currently, a major controversy is raging, as it was recently revealed that the church sold land in the Rehaviah and Talbiyeh neighborhoods to a mystery buyer. Over 1,000 apartments sit on the land, causing confusion among residents whose home security is suddenly in doubt, and MKs Rachel Azariah (Kulanu) and Yossi Yonah (Zionist Union) have been working in the Knesset to guard the residents property rights.